I think I can say without fear of being wrong that everyone is washing their clothes. And I also think I can say that most people like to have soft clothes coming out of the washing machine. 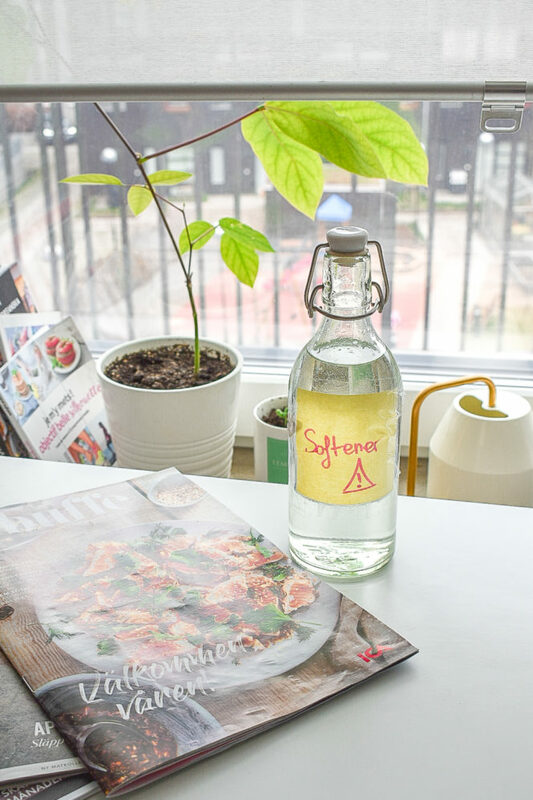 Softeners you buy in the shops are filled with harmful chemicals, so why not just go for something homemade and as efficient ? 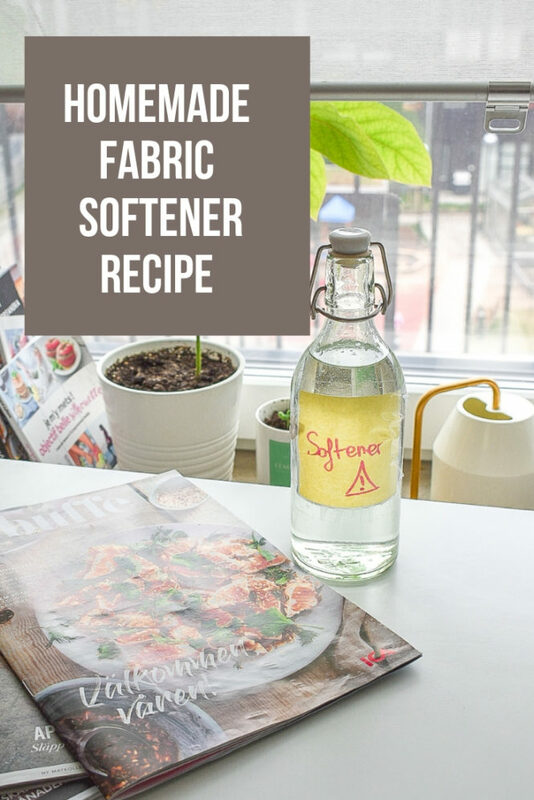 Today I would like to share my homemade fabric softener recipe. 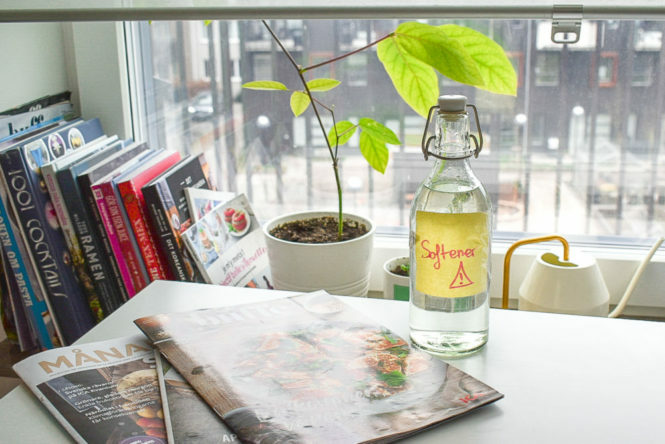 It’s super simple to make, it’s super cheap, and it’s all natural ! Then it’s pretty straightforward. You just fill your container with 1/3 white vinegar, 2/3 water and then you add approximately 10 drops of essential oil. I usually put 5 drops of tea tree essential oil for the antibacterial effect, and 5 drops of lavender oil for the smell. And that’s it ! You use it exactly like softener. Pour a little amount in the space provided for this purpose of your washing machine and wash! The vinegar will help dissolve the limestone present in the water used to wash your clothes, and will make them feel all soft. Will my clothes smell like vinegar? This is the first thing I wondered. The answer is no, NOT AT ALL. It gets all rinsed so it doesn’t smell anything. But the job is done : soft clothes, in a very natural way. No harmful chemicals. And more money saved in your piggy bank for your next pleasure ! Do you have any other natural tips like this one you’d like to share ? Thanks for reading this blog post ! And I hope you thought this tip was useful. Have a nice day !